For drivers in Avon, Indianapolis, and Plainfield looking for a stylish and dependable SUV, the Toyota Highlander is an excellent choice. It offers comfort and convenience in an SUV that’s ideal for families. So, which trim level offers what you’re looking for in your next SUV? 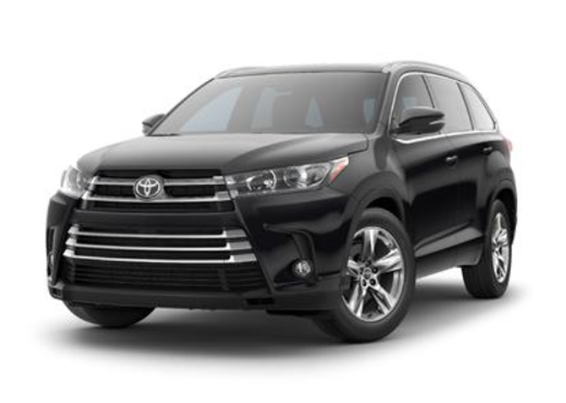 Andy Mohr Toyota put together this 2019 Toyota Highlander trim levels review to help you decide. 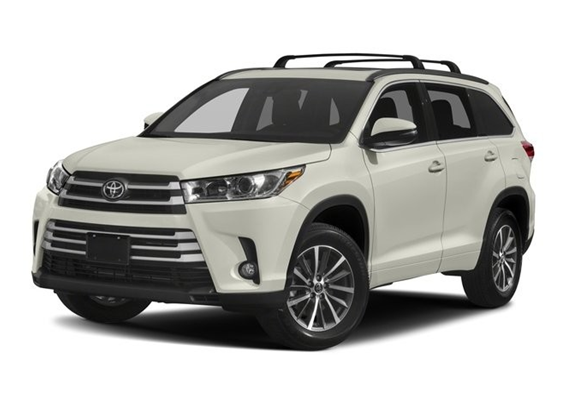 The base trim is the 2019 Toyota Highlander LE. It runs on a 2.7L 4-cylinder engine with Dual Variable Valve Timing with intelligence (VVT-i). This engine gets 185 horsepower and 184 lb-ft of torque. The transmission paired with this engine is a 6-speed Electronically Controlled automatic transmission with intelligence (ECT-i). It features sequential shift mode and Snow Mode for added versatility. There’s seating for up to eight people inside and lots of options, with the second- and third-row 60/40 split, sliding, and reclining fold-flat seating. Everyone can feel connected to their technology, too, with five total USB ports. At your command, you’ll have two screens providing you with key information, a 4.2-inch color LCD Multi-Information Display on your instrument cluster, and a 6.1-inch touchscreen for your infotainment system. You’ll find the infotainment system on your dashboard. It’s equipped with Entune™ Audio and Bluetooth® wireless technology and advanced voice recognition. The dashboard-mounted screen also acts as your window to what’s behind you thanks to the integrated backup camera with projected path. 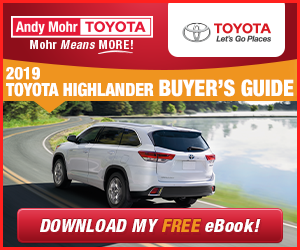 You can feel confident that the 2019 Highlander LE has you protected, too, with eight standard airbags and two safety systems. Both the Star Safety System™ and Toyota Safety Sense™ P come standard on all trim levels. Aside from the jump in power, this trim adds touches of comfort and convenience to both the interior and exterior. The infotainment system now has an 8-inch screen and gets upgraded with Entune™ Audio Plus with the Connected Navigation App. Both the driver and passengers can get more comfortable in this trim. The seats are fitted with SofTex® cloth and contrast stitching. There’s also three-zone automatic climate control with a separate second-row control panel. Up front, you can find your setting with the 8-way power-adjustable driver’s seat. You’ll also be able to see more clearly with integrated fog lights. Loading and unloading is easier in the 2019 Toyota Highlander LE Plus, too. The trunk has a standard flip-up rear hatch window and a height-adjustable power liftgate. The Toyota Highlander XLE runs on the same engine and transmission as the previous trim but adds some luxury and safety features. On the exterior, you’ll notice the durable and stylish Chromtec® roof rails right away. Inside, there’s now leather-trimmed seats and heated front seats. You can also decide how bright you want the drive to be. Let some light in with the power tilt/slide moonroof with a sunshade or get some shade with the second-row retractable window sunshades. A couple driver assistance features are added on this trim as well. The standard Blind Spot Monitor lets you know when it’s safe to change lanes, while Rear Cross-Traffic Alert warns you if any cars are coming when you’re backing up. At night, the auto-dimming rearview mirror helps by limiting glare from the cars behind you. There’s a more modern style to the Toyota Highlander SE. This trim focuses on creating a sleek look, both inside and out. The sport-tuned suspension rests on 19-inch multi-spoke alloy wheels with a black finish. Up top, there’s dark-painted roof rails. The inside continues this look with black leather-trimmed seats with unique ribbon inserts and silver stitching. This gets further amplified by blue LED interior ambient lighting. The final trim is the 2019 Toyota Highlander Limited. It adds some higher end features, such as perforated, heated, and ventilated leather-trimmed front seats. The driver’s seat now has a memory function and there’s also a 4-way power-adjustable front passenger seat. You’ll have a clearer view of what’s next to you on cold days in this trim with heated power exterior mirrors to melt snow and frost away. The infotainment system gets a boost in sound quality on this final trim. It has a standard Entune™ Premium JBL® Audio system with Integrated Navigation and App Suite. 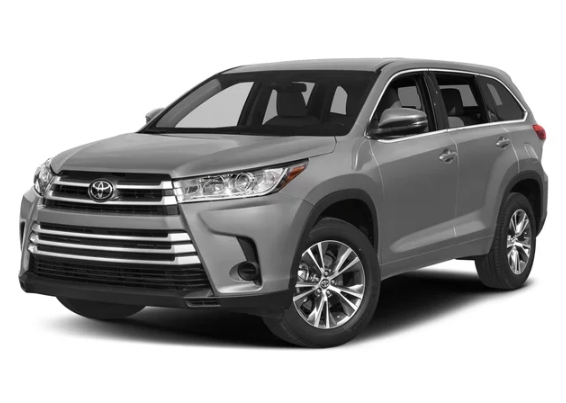 Whichever trim interests you, the 2019 Toyota Highlander is a versatile SUV that’s dependable for families and drivers in Avon, Indianapolis, and Plainfield. To learn more or to check out each of these Highlander trim levels in person, visit Andy Mohr Toyota to take a test drive!